Snapeez Sterling Silver Snapping Jump rings. 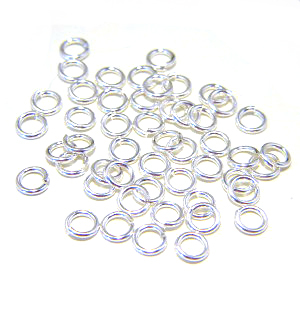 If you are tired of trying to align jump rings, then Snapeez are the product for you. Their unique design allows the ends to "snap" into place. Note: that a tiny gap remains. 4mm, sold in packs of 25.